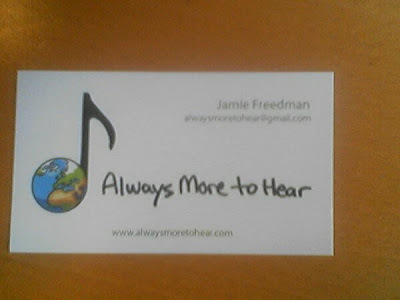 Always More to Hear: Business Card! Check out the new business card from PsPrint! Sorry it's a little blurry. Thank you to Dina Maccabee for helping with the design the card and to Jemal Diamond (the new Papa!) for the awesome logo!